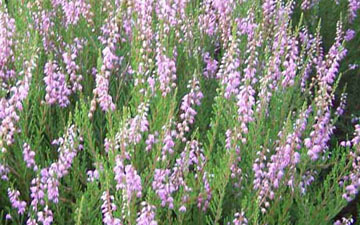 The purpose of the Northeast Heather Society is to foster interest in growing heathers (Calluna, Erica, Daboecia, Cassiope, Phyllodoce and Andromeda) in northeastern North America, by serving as a conduit of educational information for both the novice and experienced gardener. 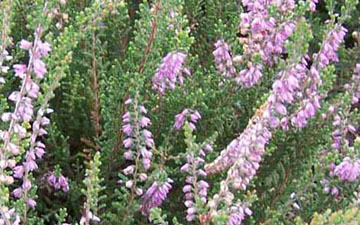 The NEHS is a chapter of the North American Heather Society and is the only heather chapter on the east coast covering an area from the New England, Canada, south to Delaware, Maryland and Virginia and west to Ohio. A few enthusiastic heather growers from Maine and Massachusetts spearheaded the creation of the Northeast Heather Society and the first official meeting was held in January of 1986. By June of that year, membership had totaled 55. From these first efforts to recognize heather as a plant of distinction, worthy of a society dedicated to supporting fellow heather gardeners, the NEHS takes its first step into the world of cyberspace hoping to wisely use this tool as another means to fulfill our educational mission. The Society will continue to mail a paper copy of the “Heather Notes” newsletter to our members as long as they pay an additional amount added to the membership fee. See the MEMBERSHIP FORM for details. The latest Heather Notes newsletter can be viewed/printed by selecting the HEATHER NOTES item at the top of this page. In addition, all previous Heather Notes issues are available for viewing or printing from this page and an index file of all Heather Notes articles is available to aid the visitor in finding articles of particular interest. The NEHS Supported Heather Gardens listing will give a bit of history for each garden along with pictures and if you check out the Calendar, the spring trimming schedule will be posted. 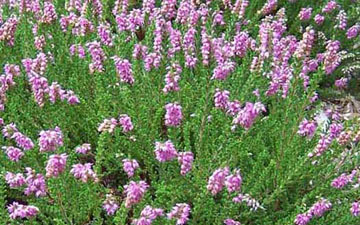 The level of support for each garden differs according to the size of the heather garden. 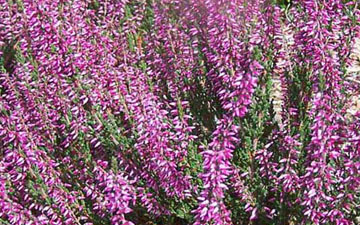 It ranges from manual help or advice to existing garden staff pertaining to heather maintenance. For the smaller pocket gardens, maintenance work is done by local NEHS members in that area. 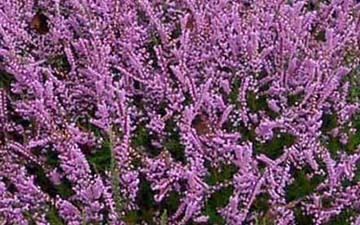 The Society recognizes that the growing conditions of the heather for our geographically dispersed membership are such that one rule does not apply to all. 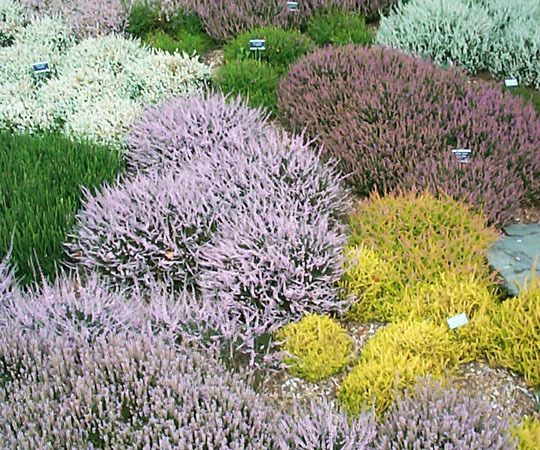 A collection of ‘member advice’ for successfully growing heather in the many areas and microclimates of the Northeast has been assembled in “A Regional Heather Growing Guide”. The booklet is available for a nominal fee and all proceeds support the Northeast Heather Society’s efforts to award grants or fund research in the study of heather. 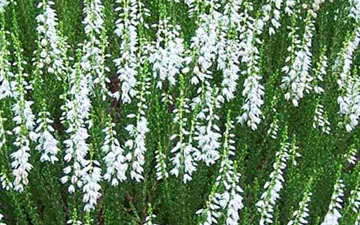 Membership in the Northeast Heather Society is open to anyone who pays dues to this chapter. Membership benefits include: an email notice that the latest Heather Notes newsletter has been uploaded to the website or you can receive a paper copy of the newsletter for a nominal fee. As a member you may participate in chapter meetings and elections, you have borrowing privileges for slide/power point presentations, and most valuable of all, contact with fellow heather gardeners who mostly live in or near your growing zone, all willing to share helpful advice and their experiences. Your membership dues will allow us to maintain a dynamic and informative website containing timely tips on Heather culture, Calendar of NEHS events, featured gardens of NEHS members and much more. A family membership permits more than one family member to vote and participate in all NEHS activities for an additional $5 per year fee above the annual dues. The family membership includes all adult household members residing at the same address and each member has one vote. If the member has opted to pay extra for a paper copy of the newsletter, only one copy of the published newsletter will be mailed to your address.